When British Prime Minister David Cameron lambasted Labour Party leader Jeremy Corbyn for having a “terrorist-sympathising, Britain-hating ideology” the rightwing British media went into raptures over the bashing. But amid the boorish braying, the question is: what about Cameron's own extremist-supporting politics? And not just Cameron, but the whole British establishment. Cameron made his cheap shot at Corbyn while addressing his Conservative Party annual conference last week. With the fulsome help of British media, Corbyn's views on the death of Al Qaeda leader Osama bin Laden, as well as on foreign policy issues, including Russia, Palestine, Hezbollah and Irish republicanism, have been wildly distorted. But the crude demonisation of Corbyn as national traitor is an easy job when you have a phalanx of willing media hatchet-wielders on your side. How richly ironic it is then that a week after Cameron's mud-slinging at Corbyn, news emerges of a British man who is facing a death sentence in Saudi Arabia. Karl Andree, a 74-year-old British expatriate living in the oil-rich kingdom for the past 25 years is to receive 350 lashes under the archaic Saudi justice system. The man was caught last year reportedly in possession of homemade wine — in a country where alcohol is officially forbidden. His family in Britain are making desperate appeals to British premier David Cameron to intervene in the case to save the pensioner's life. Suffering from cancer and asthma, the family of Karl Andree fear that he will die from the flogging, especially after having spent a year already in a Saudi jail. A son of the man told British media this week that Cameron's government had done little to seek clemency from the Saudi rulers. Simon Andree "accused the Foreign Office of allowing business interests to get in the way of helping to free his father." Cameron may be obliged to finally intervene, such is the furore. But the mere fact that London has to be pushed into doing something to save the man's life shows just how deeply entwined the British establishment is with the House of Saud. The case is just one of many instances where the British government has steadfastly given the Saudi rulers political cover for their extremist practices. With an estimated 30,000 political prisoners languishing in Saudi jails and over 100 people executed by public beheadings every year, the kingdom has been described as one of the most despotic regimes on Earth. Some observers have noted that the House of Saud beheads as many people as the notorious terror group, Islamic State, which shares the same Wahhabi ideology as the Saudi rulers. Indeed probably bankrolled by the Saudi monarchs, as are other extremist jihadi groups, including Al Qaeda and Jabhat al Nusra. Yet while Cameron and his government make high-profile calls for sanctions against Russia over alleged violations in Ukraine, London keeps silent when it comes to international appeals for human rights in Saudi Arabia. 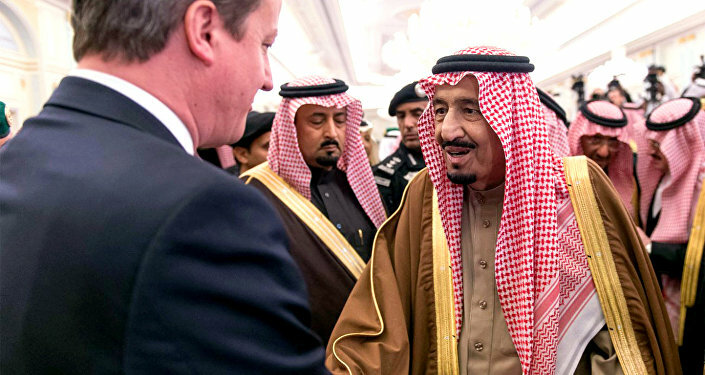 Earlier this year it emerged from leaked cables that Cameron's government was involved in "back-room deals" with the Saudis for the kingdom to be appointed to a chair on the United Nations Human Rights Council. This is while international campaigners have recently appealed in two particularly disturbing cases, one involving a Saudi blogger sentenced to receive a 1,000 lashes and the other of a pro-democracy activist, Ali Mohammed al-Nimr, who is due to be beheaded and crucified. Labour's Jeremy Corbyn has personally entreated Cameron to intervene — but so far, Downing Street has declined to mediate. Cameron has gone on the defensive about British-Saudi relations, telling media that Britain has a "special relationship" with the kingdom, and insisting that it must maintain "close ties". The British leader never fails to pontificate to international audiences about how Britain is "supporting democracy and human rights" around the world. 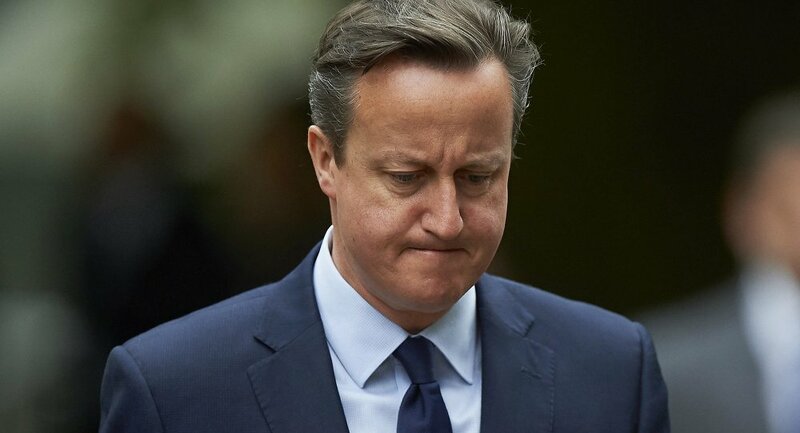 Cameron's double-think fails, spectacularly, to acknowledge that his government and Downing Street predecessors have "close ties" with the Saudi regime, where elections are banned, women are prohibited from driving cars, and freedom of speech is exercised under the pain of death. Even as Saudi Arabia carries out more than six months of slaughter in Yemen, the British government maintains a stony silence. Evidence of war crimes involving Saudi bombing of civilians in Yemen has not registered a pause by Britain in supplying the Saudis with Tornado and Typhoon fighter jets equipped with 500-pound Pave IV missiles. Thousands of women and children have been massacred in the onslaught, while Britain reportedly finds new reserves for ordnance to sustain the Saudi bombardment, along with deadly supplies from Washington of course. In 1985, former Conservative Prime Minister Margaret Thatcher — a political heroine of Cameron — lent her personal intervention in signing the al Yamamah arms deal between Saudi Arabia and Britain. That ongoing deal — worth an estimated £80 billion ($120 billion) — is the biggest weapons contract every signed by Britain. A reputed 50,000 jobs depend on its fulfilment, mainly by Britain's top weapons manufacturer, British Aerospace Engineering (BAE). The contract is mired in corruption. Investigations have shown that some $1 billion in bribes were funnelled to key members of the House of Saud by BAE, including the former spy chief Bandar bin Sultan. In 2010, a US court found BAE guilty of corruption, for which the firm had to pay $400 million in fines. But Britain's own legal probe into corruption over the Al Yamamah arms deal was dramatically blocked in 2006 by then Labour leader and Prime Minister Tony Blair. Blair, as with Cameron recently, simply invoked "national security interests" to close the prosecution. Once again, the supposed "special relationship" between Britain and Saudi Arabia trumped any concerns about criminality or the despotic nature of the House of Saud. One factor in why Blair gave cover to Britain's Saudi clients was the threat from the House of Saud that it would pull the plug on the whole Al Yamamah contract, and instead direct its business to France. 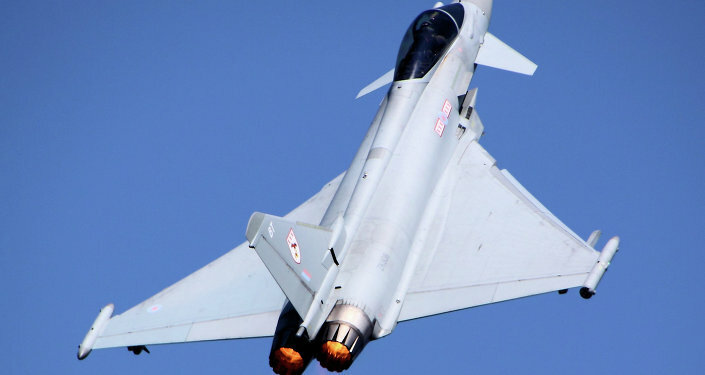 The French-made Rafale fighter jets were dangled as an alternative to the British-made Typhoon. Resonating with that, this week a French delegation led by Prime Minister Manuel Valls, Foreign Minister Laurent Fabius and Defence Minister Jean-Yves Le Drian was in Saudi Arabia where it signed $11 billion in contracts for various industrial and military products. This is the same French government that cancelled the $1.3 billion Mistral helicopter ship contract with Russia over alleged — yet unproven — violations by Moscow in Ukraine. 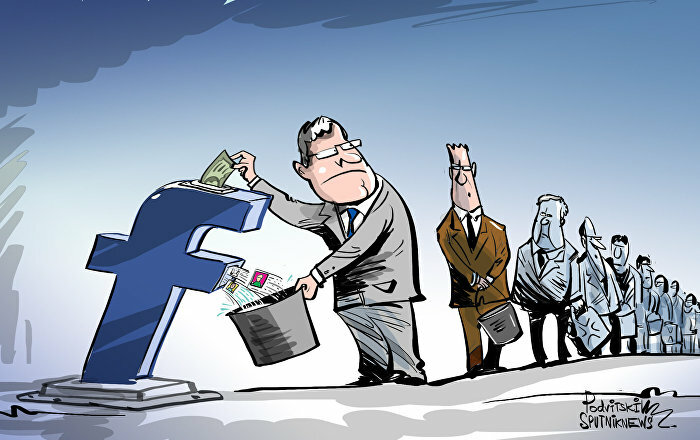 As with the British, the French government's high-minded claims of democracy, rule of law and human rights are nothing but cynical public relations when it comes to the altar of financial profits, no matter how "extremist" the customers are. So, let's re-run that clip again of David Cameron denouncing others for "extremist-sympathising ideology". 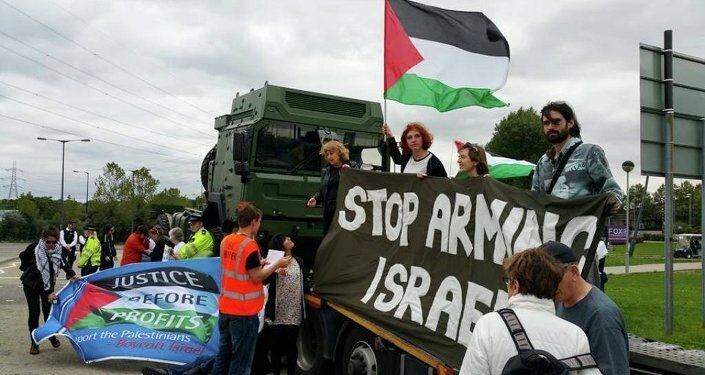 Whatever Jeremy Corbyn's alleged views are, they are nothing, absolutely nothing, when compared with the extremist-supporting practices of David Cameron and a host of British governments in their courting of Saudi oil money.